Virginia criminal defense - Intermingled DNA by itself does not prove guilt | Jon Katz, P.C. Even more than Virginia’s Supreme Court, the Virginia Court of Appeals is not a particularly hospitable place for criminal defendants. For starters, one convicted through a Circuit Court trial must petition for appeal, rather than having the automatic right of appeal that exists in federal court and so many state courts. Next, based on case precedent, the state statutory and constitutional law, and court personnel lineup, Virginia’s Court of Appeals is far from a criminal defendant-friendly place. Consequently, when the Commonwealth’s Court of Appeals gets a criminal case right, I cheer all the more. I certainly have been cheering over the Court’s May 2, 2017, decision reversing a robbery conviction that rose or fell on DNA found on items that a masked knife-armed robber discarded near the scene of a gas station robbery. It turned out that others also left their DNA on those items, and there was no evidence to show how recently the defendant’s DNA got on those items. Jennings v. Virginia, ___ Va. App. ___ (May 2, 2017). At Jennings’s trial, the prosecution’s DNA expert testified that although “there was also a mixture of DNA from multiple people on both the stocking cap [identified by the robbery victim — along with the DNA-tested scarf and knife — as worn and used by the robber] and the scarf, [DNA expert] Hill determined that Jennings was the ‘major contributor’ of DNA on both of those items, meaning his DNA was the most prominent on them. Finally, Hill testified that Jennings’ DNA mixture represented about half of that present on the knife.” Jennings. Was Jennings the perpetrator of this gas station robbery? That possibility may have gnawed at the necks of the Court of Appeals panel deciding his case. 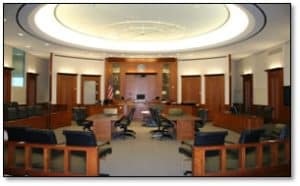 That is what a judge’s and juror’s oath is all about, to reverse a conviction founded on insufficient evidence even if the defendant may well have committed a terrible crime, and even though returning the perpetrator of such a crime to the streets can put people at risk of a repeat offense.